Discovering the first extraterrestrial lifeform in our solar system will probably be a wonderful thing. What happens next, according to next summer’s big science-fiction film, won’t be quite so wonderful. Directed by Daniel Espinosa and starring Jake Gyllenhaal, Rebecca Ferguson, Olga Dihovichnaya, Ariyon Bakare, Hiroyuki Sanada, and Ryan Reynolds, the 2017 release takes place about 20 years from now on a space station in Earth orbit. The crew’s research into a native Martian organism leads to a horrific escalation of hostility. It’s interesting to see the tonal differences between the U.S. and international trailers, with the American teaser using audio from President John F. Kennedy’s “New Frontier” speech. 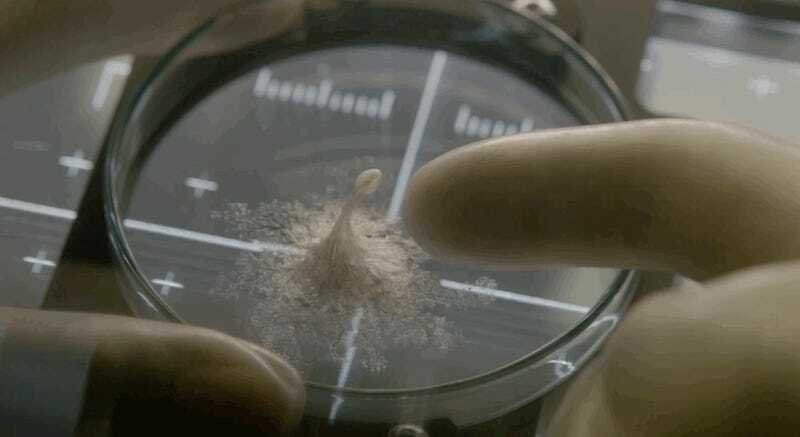 The international trailer offers up a bit more context and causality, comparing the dynamic between researchers and Martian ooze-thing to tragic colonizations that happened on Earth. Funny thing, that.